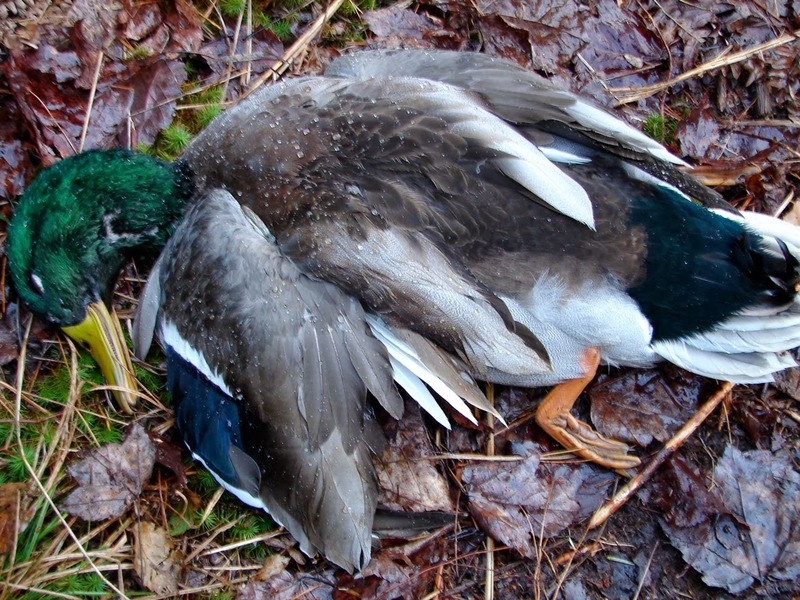 The Maine Outdoorsman: Ducks, Ducks and Timber Rockets! The nip of the early morning air, frost and the brilliance of the fall foliage all work in unison to signal the arrival of my favorite month, October. During this magical time of year, I can think of no better place than to be than sitting beside a marsh with dog, family, friends and coffee awaiting that most anticipated of events, the start of duck hunting season. Quacking excitedly on my call with a tempting cadence, a dozen mallards circle overhead, my heart pounds heavily in my chest, the dog whines and I look at my wrist watch to see if it is yet legal time. As if in slow motion, the final remaining seconds tick by and I yell, “take em boys” for the first time since the 2012 waterfowl season closed late last November. Multiple shots are fired and several fat green heads falls from the sky. One hits the water at such an angle and velocity that it skips at least twice, landing deep within the tall marsh grass. My trusty dog Onyx, more house pet than retriever, immediately piles into the water, conducts a quick search and happily plucks the duck out of the reeds. We all quietly cheer for her as she swims back to the blind. Every duck hunter wants to know the secret to shooting more ducks. Being successful during the waterfowl season requires scouting, scouting and more scouting. Every season, I go through extensive lengths to find new areas, in an attempt to find that hidden, off the grid, ducking hunting nirvana. While location certainly is a huge component linked to duck hunting success, several other items are also critical. Calling, ducks into shooting range is important and doing it effectively takes a refined understanding of basic duck sounds and behavior. Hundreds of instructional videos have been created to teach people how to call effectively. Watch those videos and out call the guy hunting in the blind next door practically every time. Busy and lack the time to invest in receiving a master’s degree in duckology? Well, let me share four quick and easy secrets to help increase success this October. Buy a teal and wood duck call. These two additions are extremely effective in calling in these two species when standard “quack” calls will fail to do so. Both the teal and wood duck call are easy to learn by reading the instructions on the back of the package. These calls will add an entirely new dimension to any sportsperson’s duck-hunting arsenal. Hunters should not be seen, so limit movement and cover up the often forgotten face and hands with camouflage face paint or netting so as not to spook approaching ducks. 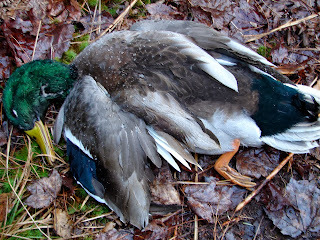 - Decoy spreads should be seen and contain a lot of movement. This is accomplished by including spinning wing decoys, jerk chords and any other products that create water disturbances, mimicking happily feeding ducks. Quack, quack, quack is the basic call of the mallard and black duck. This is the “King” of duck vocalizations. Use heartily to call to a ducks wing tips and tails to turn them and lightly in the morning when the marsh is coming alive. Do not call loud and repeatedly, overdoing it and frightening ducks. Later in the season it pays to add white colored decoys to your set-up, as doing so will yield visits from both hooded and red crested mergansers. Take old mallard decoys and paint them white and black to mimic mergansers. In Washington county wood duck and teal become almost non-existent after the first two weeks of October, so get on them fast and hard before they disappear! Find your own secret waterfowl hot spot by exploring Fourth Machias Lake (DeLorme’s The Maine Atlas and Gazetteer (MAG), Map 35, C-2). This lake has a great boat launch on the northern end and a healthy population of resident Canada geese and late season mergansers. Late season duck hunting in Washington county means you better have an appetite for Hooded and Red Breasted Mergansers, as a typical hunt will usually only yield these prehistoric looking “divers”. Unfortunately, these “fish ducks”, as they are commonly called, have developed a bad rap and more often then not, hunter recklessly toss them into the woods, a serious breach of hunting etiquette and an obvious violation of Maine’s wanton waste law. Hunters cannot expect to simply throw this duck on the grill and have it taste like a wood duck or a mallard but with a little preparation, these “fishy fowl” can be made to taste delicious. Start by breasting the birds with a sharp knife, removing the two palm sized chunks of flesh found to either side of the breastbone. Next, cut the breasts up into cube shapes about the size of a quarter. Take all of the pieces and place them into a marinade comprised of half orange or apple juice and half beer (cheap beer works best). Let the breasts soak in the marinade for 2-3 days. Remove the breasts, wrapping each one with a half a slice of bacon and then secure the bacon with a toothpick. Place each completed morsel on the grill and cook until the bacon is done. Serve at a party with unsuspecting party guests and watch them devour these “merganser hors d'oeuvres”! After a long day sitting in the duck blind, I am ready to stretch my legs with an afternoon activity allowing me to get more exercise. One of my favorite early evening activities involves walking a deserted woods road in pursuit of grouse. As the day’s shadows begin to lengthen and grouse begin emerging from the underbrush to gather small pebbles along the roadsides. This nightly ritual, designed to assist the small birds digestive system, exposes them for a short period of time in the early morning and evening to the shotgun of a patient hunter. If hunting with a partner, make sure to clearly define who is covering what areas, so that when a grouse flushes there is no confusion or worse yet a hunting “accident” when a quick shot is taken. Walk slowly, again SLOWLY and continually scan the woods for movement. This pace will also typically frighten rabbits out of hiding and provide you with a bonus item for the stew pot. The trick to shooting grouse is finding out where the birds want to be. Food, water and effective cover are by far the most important considerations. Nashes Lake, Howard Lake and Beaver Lake (DeLorme’s The Maine Atlas and Gazetteer (MAG), Map 37, C-1) are surrounded by a maze of dirt roads and ATV trails suitable for hours of “heater hunting” or a fun evening walk chasing Timber Rockets. Don't mock me just because you are the one with Hogwarts on your Dundledorf. Remind me of the dates again . . . my mind has been mush lately. great post, good tips. between you and downeast i'm starting to figure this waterfowl game out. NICE! Well, I certainly do not claim to be an expert but I am perfectly willing to share all I have learned! I hope that a few of my ideas and suggestions help you to put a few more ducks in the stew pot!